Unfortunately I don’t have any babies in house to model this properly so this will have to do. I am quite pleased with how the yarn looks an feels and I predict it will be a hit at Stitches in a couple weeks. 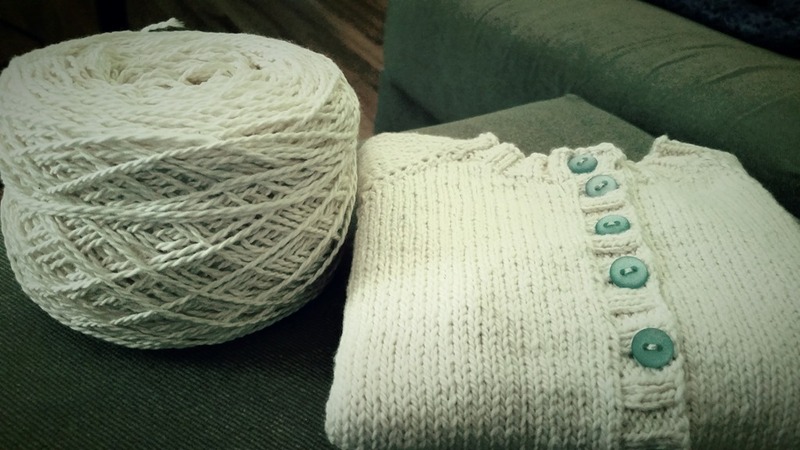 It is perfect for baby knits because it is soft organic cotton that is easy to care for. 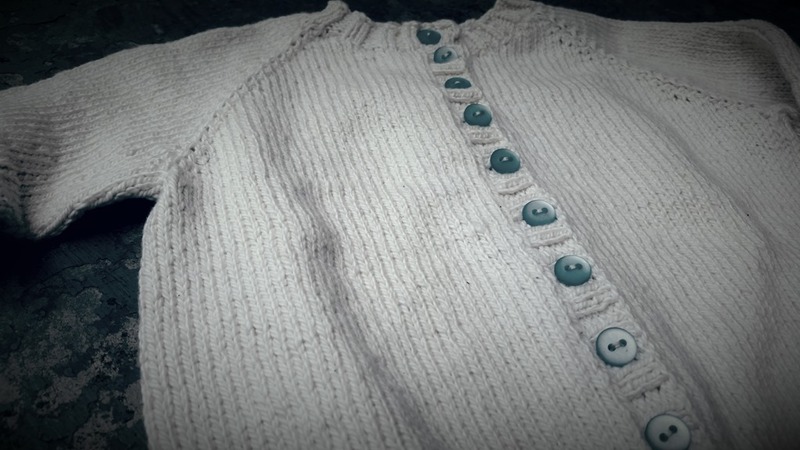 This little classic sweater is also great for everyday use, no need to save it for only special occasions which sometimes is what people do with hand knits for little ones. 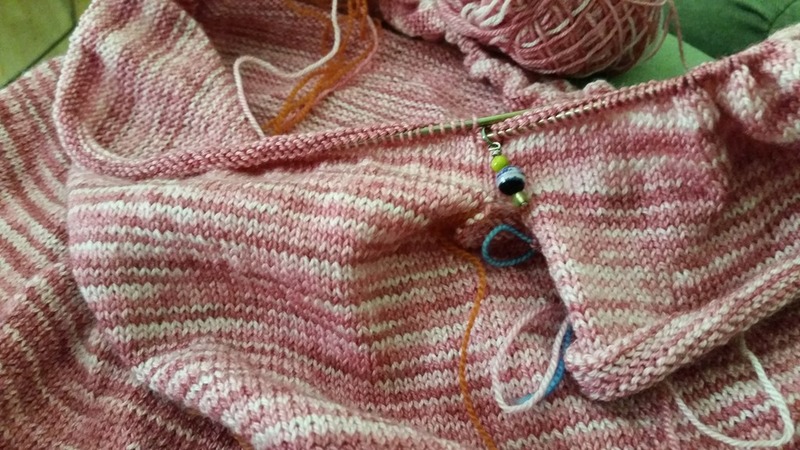 Loving that pink variegated yarn – which one is it? Congrats on finishing the baby sweater!